Auckland is seeing the slowest rate of rent increases in years, the city’s biggest property manager has revealed – but don’t expect it to continue. The latest quarterly rental update from Barfoot & Thompson is out now and it has Auckland’s average weekly rent increasing by 3.28% to $567 in the fourth quarter of 2018. A typical* three-bedroom rental in Auckland cost $564 a week in December 2018, which equates to an increase of just 3.12%, or around $17, as compared to December 2017. Barfoot & Thompson director Kiri Barfoot says rent increases trended down for most property sizes and areas throughout 2018, and this persisted in the final months of the year with the lowest rates of change yet. Slowing rent growth often indicates a softening in tenant demand or a potential oversupply of the type of property involved. But Barfoot says it remains to be seen how the rental market will accommodate the various regulatory changes, like the letting fees ban, bedding in now, along with the proposed tenancy law changes. 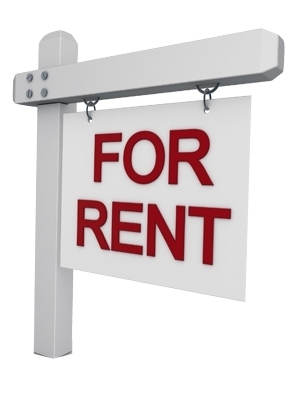 “While rents are still going up, it is unlikely the current rates of increase are keeping pace with landlords’ rising operating and compliance costs. Landlord advocates have long been saying that rents will rise in response to tax policy and tenancy law changes, as well as the Healthy Homes minimum standards. Auckland Property Investors Association president Andrew Bruce says the reality is that if you invest in something you want to get a decent return from that investment – but all the changes are making that increasingly difficult. To address this, experienced investors will revamp and upgrade their rentals and then put up their rents to market value in order to get a better return on their investment, he says. Meanwhile, Barfoot & Thompson’s fourth quarter data does show some increases in rents. In terms of property types, two-bedroom properties went against the slower growth trend, increasing by 4.3% across all areas to an average $475 a week. Additionally, central Auckland rents rose by 7.24%, to an average of $507 a week, due mainly to the number of large, luxury apartments pulling in higher weekly rents. *Three-bedroom properties make up the bulk of Barfoot & Thompson’s 16,500 strong portfolio and so are used as a standard example.